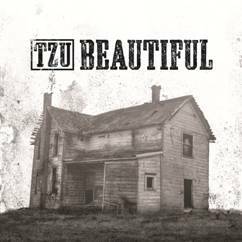 TZU’s latest single, ‘Beautiful’. It’s the second cut from their new concept album ‘Millions Of Moments’ that hits stores on September 21. ‘Millions of Moments’ is a collection of stories set in Australia at vastly differing times. The narrative follows the adventures of Persephone. Our mysterious protagonist trials a drug called Chronos, which sends her hurtling through time (Doctor Who style) to inhabit the consciousness of an array of alluring folk. From a ghost story set in colonial times, to an 18th century stalker, from an end of the world apocalypse, to a love on the brink of destruction, Millions of Moments taps into points in time and history that weave the tapestry of our very existence (and then some).